Common Courage Press, 9781567512144, 276pp. From Worldcom to Coke, from Enron to the White House, these columns offer trenchant revelations of corporate dirty deeds. 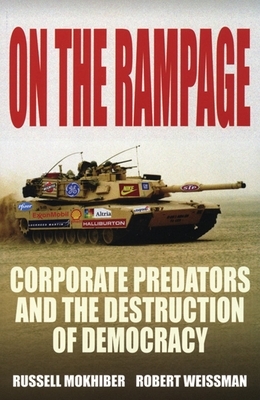 Featuring the 10 worst corporations and 10 reasons to dismantle the World trade organization, Mokhiber and Weissman take on the single greatest threat to Democracy: corporate power. Robert Weissman is editor at Multinational Monitor; Russell Mokhiber is publisher of the Corporate Crime Reporter Russell Mokhiber is publisher of the Corporate Crime Reporter.